The small village of Arabba is situated in one of the most scenic areas of Northern Italy, in the Dolomites peaks. When you visit, you will be amazed at the beautiful scenery of the surrounding Sella group. Arabba sits at an altitude of just over 1,600 metres and is known as being a very characteristic village in the Alps. Its beauty can be enjoyed all year round and is central to the Dolomiti Superski, as well as the Dolomiti Super Summer circuits. The Arabba resort is open from early December to late April every year, which gives you about five months every year of some of the best skiing in Europe. The area is not known for the best beginner slopes. There is only one nursery zone, and this is located close to the bottom of Burz chair. Even though this is better for beginners, it is still a little steep. Those with a little more experience, however, will be more than happy at this ski resort. 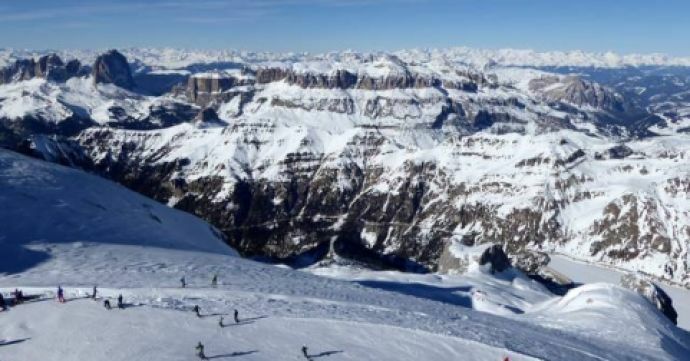 The Sella Ronda circuit offers the perfect challenge for confident intermediate skiers. This course has quality groomed pistes and thanks to excellent snowmaking coverage, you can be guaranteed of great skiing conditions throughout the winter. If you like to go off the beaten track at times, then you should try exploring some of the offshoots, such as the Marmolada Glacier. 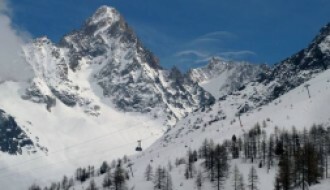 If you’re an experienced skier, then you can try the runs at the Porto Vescovo top which are an excellent choice. When there is fresh snow, there is excellent terrain to enjoy the perfect day on the slopes. 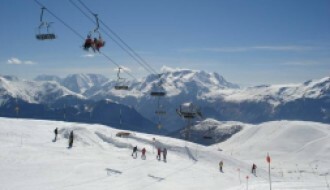 During the summer, when there is little snow, the area still offers lots of activities. The hiking opportunities in the area are some of the best in Northern Italy. The scenery from your base during the summer will also be stunning and with the quiet lifestyle of the small village, you are bound to have a delightfully relaxing holiday away from the hustle and bustle of busy city life. While Arabba is not known for its lively nightlife, you can still enjoy great cuisine at some of the best value restaurants and cafes in the area. You can also enjoy a drink at some of the bars, or if you fancy spending some time shopping, there is a small range of shops in the area. Arabba inhabitants are known as Fodomi and are some of the most welcoming and friendly people in the world. They are attentive hosts making guests feel happy and satisfied with their stay. The culture itself is centuries-old and traditions locally are referred to as Ladin. The area is also well-known for its superb cuisine. There are a lot of historic monuments and attractions in the area that detail the ancient Tyrol, which the Fodom Valley was once part of. For instance, there is the Museum of History, Customs, Culture of the Tradition of the Ladin People. There is also the statue of a local heroine, Katharina Lanz that is in Pieve di Livinallongo, a little hamlet nearby. You can also visit many of the monuments that have been erected in honour of the fallen during the Great War. However, if you really want to experience the history and culture of the area, then you should definitely visit the castle of Andraz. It was a Tyrolean stronghold and can be found in the small Castello hamlet. It was built in 1027 and still sits impressively today in the Italian mountains. Unfortunately, the castle is only open during the summer. The area itself is a World Natural Heritage Site. Therefore, even if you don’t want to go skiing, but still want to enjoy some of the most beautiful landscapes Europe has to offer, there are few places that can compare. 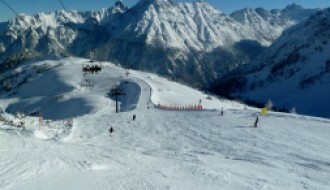 The whole resort has good facilities, with 28 lifts servicing the area giving you access to 63km of pistes. The number of lifts has recently been increased to offer more access to the slopes for everyone. These improvements in the facilities, and others nearby to summer sports, make this a thriving and continuing growing resort to invest in. The property in Arabba is well-designed and built and can offer some spectacular scenes for you and your guests. Plus, from most locations you can be just a stone’s throw away from the best skiing spots in Northern Italy and other facilities that make this a great year-round getaway location. Northern Italy is also one of the most popular places for property investors. Properties in the area might not remain on the market for long, especially those which are situated in prime locations. When buying a property in Arabba, be prepared for the cold weather. During the winter months, the temperatures can drop to about five below zero degrees Celsius. Even in the summer, the temperatures do not go above 19 degrees Celsius. Snowfall in the area is greatest in December and January where as much as 310cm of snow can fall in a single week. Late February, and early March, often see less snow with as little as 30cm. There is good monitoring of snowfall in the area and you can always take a look at our Arabba ski resort guide for the latest snow and weather reports here. In a prime location, Arabba is situated close by to three main airports: Venice, Verona and Innsbruck. There are excellent transport links to the area, and the transfer time is approximately two and half to three hours by car. You can also use the bus shuttle services that run from the closest railway station located at Belluno, as well as other locations such as Venice and Innnsbruck airport.